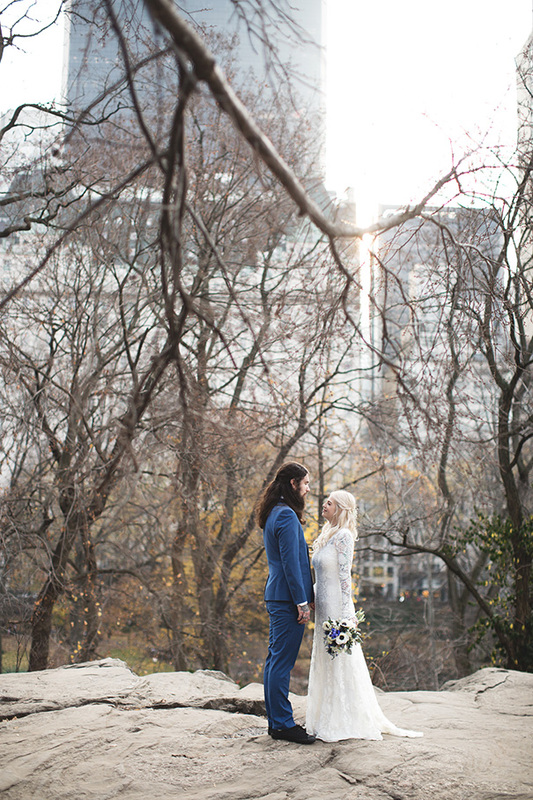 Since New York City is both Shelley and Daniel’s favourite place in the world, it was the obvious choice for the celebration and the world famous Central Park was the perfect ceremony location. Both wearing French Bulldog socks in tribute to their two pups back home, the pair tells us that they had many pretend arguments over “who’s hair was going to be the longest and most luxurious in the photos” captured by Kristina Childs Photography, a standout vendor for sure. “We knew our photographer. 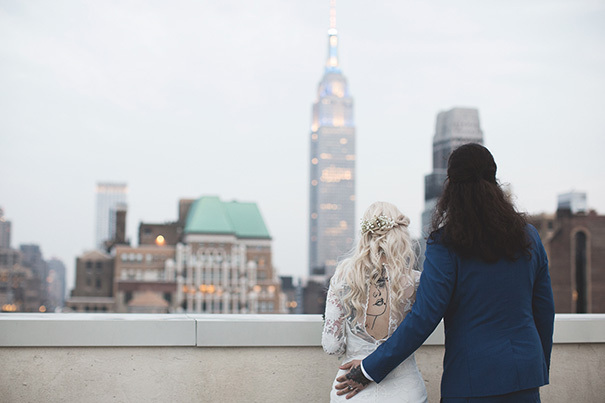 Tina is amazing at what she does, that was a no brainer and the wedding date was based solely on her availability,” explains Shelley, who wore a head-turning Rue De Seine gown. CREDITS Photos Kristina Childs Photography // Bridal gown Rue De Seine // Shoes and grooms shoes Converse // Hair and makeup Adriana Andaluz // Rings Heidi Gibson and Michael Hill // Suit and bow tie Blaq // Shirt Jeff Banks // Barber / grooming The Land of Barbers // Florist Stems Brooklyn // Ceremony Central Park, USA // Reception and catering Giardini Pizza, USA // Cake Magnolia Bakery // Celebrant The Reverend D.